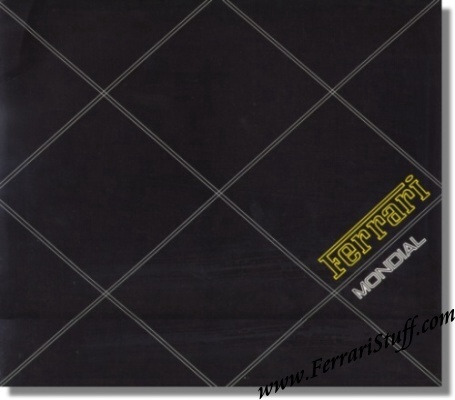 Ferrari factory original 1983 Ferrari Mondial 8 Brochure. 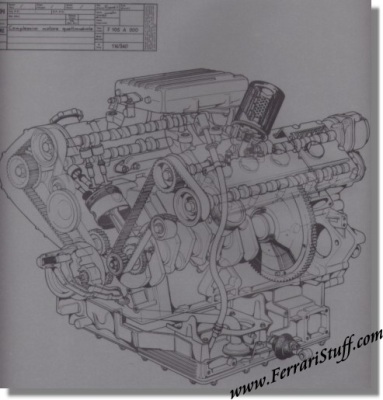 This Ferrari brochure contains 12 pages + 1 fold-out page + 2 "onion skin" pages, one of which has a "blueprint" picture of the engine (see scan below). It measures approximately 12 x 10.75 inches. Ferrari Print Number 284/83 2.6M/1/85, issued in 1983, printed in January 1985 by Arbe, Italy.